Sgt. 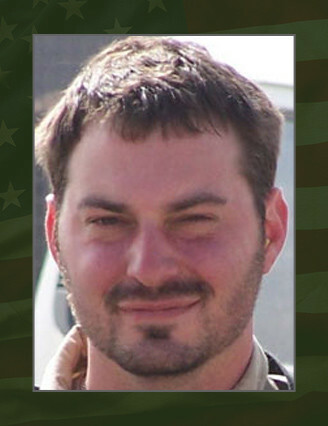 1st Class Daniel B. Crabtree, 31, was a Special Forces weapons sergeant assigned to the Ohio Army National Guard’s Company B, 2nd Battalion, 19th Special Forces Group (Airborne) in Columbus, Ohio. He died June 8, 2006, in Iraq after a roadside bomb exploded next to his vehicle during a combat patrol. He was deployed to Iraq in support of Operation Iraqi Freedom and attached to the Combined Joint Special Operations Task Force – Arabian Peninsula. In civilian life, Crabtree worked as a police officer first in his native hometown of Hartville, and then as a member of the Cuyahoga Falls Police Department Special Weapons and Tactics, or SWAT, unit. After initially entering military service with the Army Reserve in 1992, Crabtree joined the Army National Guard in 1993 as an administrative specialist. He later retrained as a military policeman and served with the 135th Military Police Company in Brook Park, Ohio. He joined the 19th SFG in March 2002, and in 2003 he was selected to attend the Special Forces Qualification Course at Fort Bragg, N.C. He earned the coveted green beret when he graduated from the course in May 2004. Crabtree’s military education also includes the Basic Airborne Course, the Primary Leadership Development Course and the Basic Noncommissioned Officer Course. In Iraq, the work of Crabtree and his Special Forces operational detachment focused primarily on training members of the Al Kut SWAT, an Iraqi police force. Crabtree himself developed and implemented a comprehensive training curriculum for the Iraqi SWAT volunteers, which included advanced marksmanship training, offensive and defensive driving instruction, and urban assault training. As the police force’s lead trainer, Crabtree drew on his own experiences as a police officer and SWAT team member to prepare his Iraqi officers to counter both local criminal and insurgent forces. He also assisted the Al Kut SWAT in more than 35 real-world missions as a combat advisor — including six large-scale air assault operations — which resulted in the capture of over 100 known insurgents. His awards and decorations include the Army Achievement Medal, the Army Reserve Component Achievement Medal, the National Defense Service Medal, Iraq Campaign Medal, Global War on Terrorism Service Medal, the Humanitarian Service Medal, the Noncommissioned Officer Professional Development Ribbon, the Army Service Ribbon, the Parachutist Badge, and the Special Forces Tab. He was posthumously awarded the Bronze Star Medal, Purple Heart, Meritorious Service Medal, and Combat Infantryman Badge. Crabtree is survived by his wife, Kathy, and his daughter, Mallory, of the City of Green. He is also survived by his father, Ronald Crabtree and his mother, Judy Ann Crabtree.